With the 2016-17 NBA season officially over, it’s time for the draft and free agent seasons to begin around the league, and one of the top free agents in this year’s pool intends on sitting down with the Denver Nuggets to discuss his future in the league. 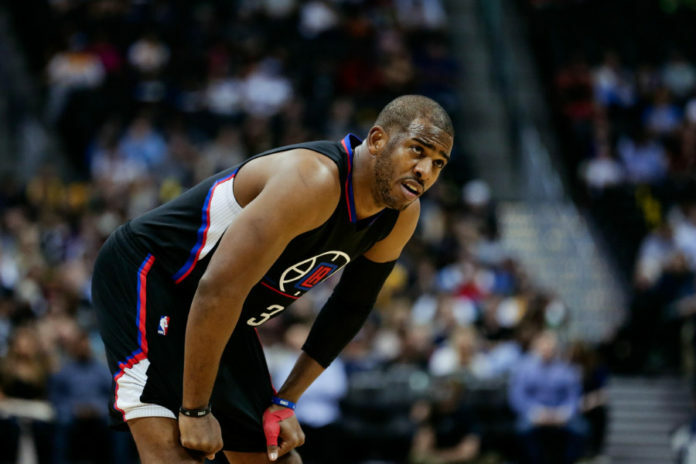 Chris Paul is one of the most well-known names around the league and has been an established star in the NBA for nearly a decade. 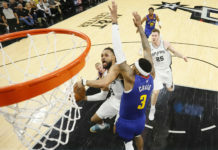 With his contract with the Clippers now expired, the 32-year-old is faced with what likely will be his last chance to sign a lucrative contract in free agency or join a championship contender. While returning to the Clippers is certainly still an option, Paul is not closing any doors on his future in the NBA as team’s such as the Los Angeles Lakers and San Antonio Spurs have been linked to the All-Star guard. 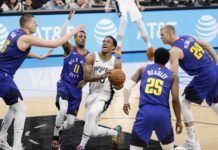 Broderick Turner of The Los Angeles Times has reported that Paul is planning to sit down with both the Nuggets and Houston Rockets this summer. While the idea of Paul actually signing with Denver seems unlikely, it would certainly be something the Nuggets would welcome despite their overabundance of talent at the guard position. If he were to land in Colorado, Paul would give the Nuggets an All-Star brand, something they have lacked since the abrupt departure of Carmelo Anthony. In addition, Paul’s superb play, specifically his passing and ability to run an offense, would bode well for Nuggets cornerstone Nikola Jokic. It would, however, take away a huge chunk of playing time from youngsters Emmanuel Mudiay, Jamal Murray, and Malik Beasley, which could end up hurting Denver somewhat in the long run. Regardless, the fact that Paul has expressed some interest in Denver is certainly a good sign for the Nuggets. Regarded as one of the up-and-coming teams in the NBA, Denver is still looking to establish their identity in the league. Led by Jokic, Denver’s foundation has the future looking bright, but a clear definitive star is still lacking within the Nuggets complexion, something that will prevent them from reaching their goal of once again becoming a championship contender. Paul is certainly an intriguing option for the Nuggets this summer. 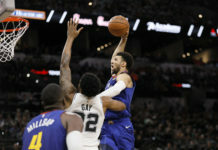 The addition of Paul would automatically launch Denver into the postseason for the first time in four seasons and would get them closer to a championship ring, a feat that has eluded Paul his entire career thus far. While he will likely end up somewhere other than Denver this summer, Paul’s interest is certainly a testament that things are moving in the right direction for the Nuggets when it comes to generating interest towards All-Star caliber players. The Nuggets are not afraid to take a jab at attempting to sign or acquire premium talent in the NBA. Last summer it was Dwyane Wade, during the trade deadline it was Paul George, and now it’s looking as if Chris Paul could potentially be the next big fish Denver has their eye on. Led by their new-look front office which now has Arturas Karnisovas in the general manager role and Tim Connelly as the president of basketball operations, the Nuggets will look to continue on their onward journey towards championship contention. While singing Paul is no certainty for the Nuggets, the organization has continuously kept tabs on the biggest names in the game, regardless of if they are expected to move to another franchise or not.